Samad has placed on emphasis on tackling many of the same transportation deficiencies other UAM companies are trying to solve. Some of the key features of their Starling aircraft fleet are electric propulsion for low carbon dioxide emissions, door-to-door travel contributing to 60% time savings, seamless refueling stations, and an exceptional in-flight experience. To achieve this, Samad has initiated an exclusive collaboration with Strand Aerospace Malaysia (SAM), a company specializing in the design, engineering, and certification of aircraft. The eStarling will be powered by four strategically places electric fans, and one auxiliary engine on the tail for extended range. One pair of the fans is seamlessly integrated in the blended wing body (BWB) of the aircraft and is used exclusively for vertical thrust. The other pair is located on the trailing edges of the aircraft, and pivot 90 degrees to provide thrust in both the vertical and horizontal flight phases. While the drive generator – which provides power to the fans and charges the batteries – aboard e-Starling is expected to be fully electric by 2030, Samad is currently in talks with both Pratt and Whitney Canada and Honeywell in order to supply the gas turbine generators. The company expects that, as battery technology improves in the coming years, the e-Starling will phase out the use of the gas generators in favor of electric-powered. Samad recently flew a 20% scale model vehicle in order to complete hover and transition tests, and many more test flights are planned for the near future. As seen in the timeline of major milestones, Samad plans to have a manned test flight of a full-scale prototype some time this year. Additionally, for a visual representation of the capabilities and technical specifications of the e-Starling, check out the video below. The media and information on the Starling fleet were provided by Samad Aerospace’s website. Click here to visit and find out more about the company and its mission. Why its important: The collaboration with Strand Aerospace is projected to help develop the UAM industry in Malaysia. 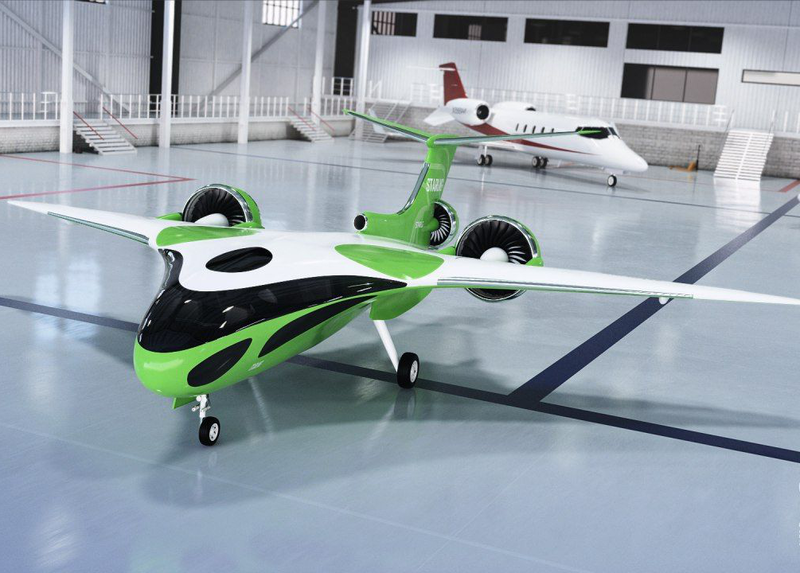 Together, the two companies are working toward major milestones in the manufacturing and testing of full-scale prototype eVTOL jets. Expect to see more from Samad Aerospace and the Starling fleet in the near future.